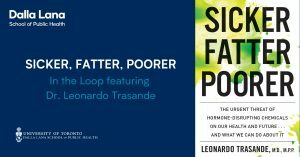 Sicker, Fatter, Poorer: The Dalla Lana School of Public Health’s Alumni Association (PHAA) presents the 2019 In The Loop networking event and presentation featuring Dr. Leonardo Trasande, an internationally renowned leader in children’s environmental health. 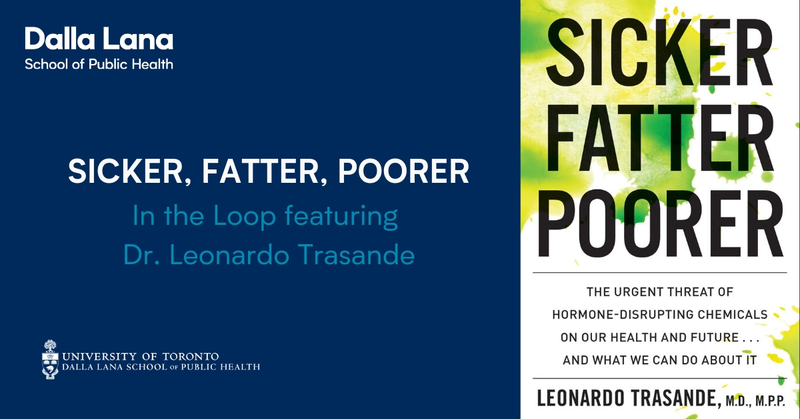 Dr. Leonardo Trasande, a pediatrician, professor, and world-renowned researcher, will explain how our everyday surroundings are making us sicker, fatter, and poorer. He uncovers evidence that helps to show how emerging health conditions result from endocrine-disrupting chemicals in our food, our homes, and our personal care products. He will also explore how industrializing companies need not sacrifice economic growth in exchange for rapid industrialization, and share his recommendations for how we can protect ourselves and fight back.